The Cloverfield Paradox (film, 2018). A 2018 American science fiction horror film with "PG-13" rating by International: Netflix/China: Paramount Pictures. Directed by Julius Onah. Official Trailer. The Cloverfield Paradox is a 2018 American science fiction horror film directed by Julius Onah. 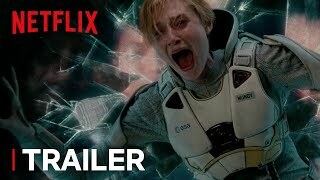 THE CLOVERFIELD PARADOX | Trailer | Netflix. In 2028, Earth is suffering from a global energy crisis. The space agencies of the world prepare to test the Shepard particle accelerator aboard the orbiting Cloverfield Station, which would provide Earth with infinite energy, while conspiracy theorists fear it will create the "Cloverfield Paradox", opening portals to parallel universes allowing their horrors to threaten Earth. Among the crew is Ava Hamilton, a British engineer who frets about leaving her husband Michael potentially for years, as their relationship struggles since the loss of their children to a house fire. The crew is rounded out by American commander Kiel, German physicist Ernst Schmidt, Brazilian medical doctor Monk Acosta, Irish engineer Mundy, Russian engineer Volkov, and Chinese engineer Tam. After about two years of unsuccessful attempts to activate Shepard, the crew achieves a seemingly stable beam, but it overloads and creates a power surge on the station. After restoring basic power, they find Earth has vanished from view, and the gyroscope that aids in the station's navigation is missing. As the crew works on repairs, strange events begin to occur, including the discovery (and subsequent rescue) of an unfamiliar woman called Mina Jensen fused with wires inside a wall. Volkov's eyeballs begin moving of their own accord; he begins conversing with his own reflection in a mirror and is compelled to craft a gun using an on-board 3D printer. He uses the gun to threaten the crew, but as he does so he convulses and dies, and the station's worm colony bursts out of him. Jensen tells Hamilton not to trust Schmidt, who turns out to be a spy sent by the German government to keep Shepard shut down. Mundy's arm gets pulled into a solid wall and is severed clean off, without bleeding or pain. They find the arm roaming of its own volition. When they recognize it is trying to write something, it instructs them to "cut Volkov open". Once they do, they find the missing gyroscope. They finally locate Earth and begin restoring their communications, but transmissions state the station was destroyed and fell to Earth two days prior. 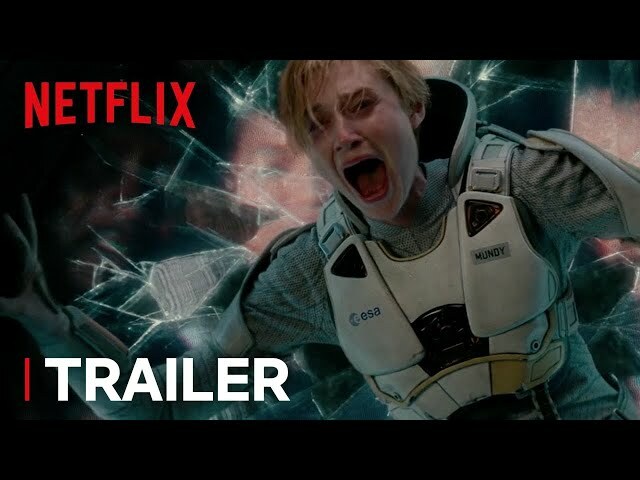 The film The Cloverfield Paradox was scheduled to be released by International: Netflix and China: Paramount Pictures on February 4, 2018 (United States). The duration of the film is 102 minutes. The film's budget is $45 million. The Cloverfield Paradox got low rating from critics. The audience dislikes the film either.